IDCloudHost is a web hosting provider in Indonesia that was founded in 2015 by Muhammad Mufid Luthfi, Alfian Pamungkas, Depi Rusnandar & Roful Zamal. As a company, IDCloudHost is dedicated to providing a wide range of web services including domain registration (including NGO-specific domains such as .org or .or.id), cloud & website hosting, VPS & dedicated servers. 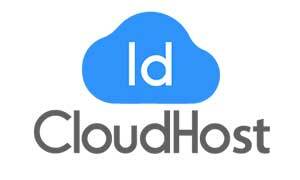 To date, IDCloudHost is already servicing over 10,000+ customers. As a company, IDCloudHost is highly dedicated in making a positive impact among local communities by providing assistance and pro-bono services to local schools & NGOs in Indonesia. Through TechSoup, IDCloudHost is further expanding their philanthropic initiative by offering 1-year worth of custom domain and their Elite-Pro Cloud Hosting package to help NGOs improve the overall visibility, SEO, and the accessibility of their website.